Hello - its me you're looking for? More great montages from Matthijs. Is there a database of movie one-liners that I'm missing? Not often that we see reports on small political local radio stations on mainstream media. Al Jazeera's Veronica Pedrosa visits Southern Thailand where an FM station is operating in rather tense circumstances. On August 30th 1963, Philips launched the audio cassette to the world at the Berlin Audio show - the Funkausstellung. In the face of competition, Philips was very clever in giving other manufacturers a license to the recoding format free of charge. By 1966 over 250,000 recorders had been sold in the US alone and Japan soon became the major source of recorders. By 1968, 85 manufacturers had sold over 2.4 million players. 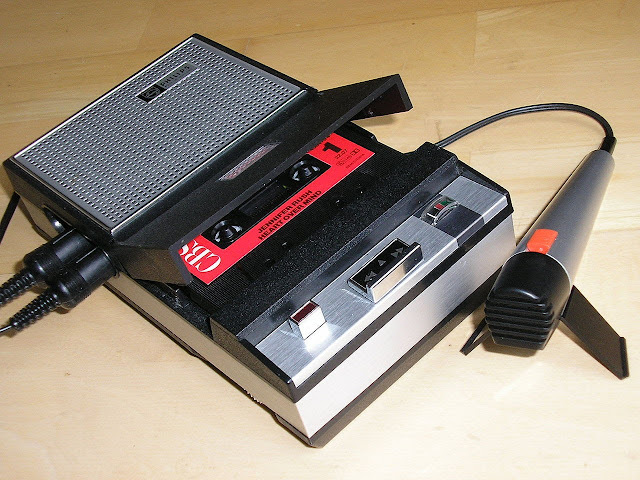 There were ill-fated attempts by others, notably Sony, to try and make larger versions of the same thing so that they tape could move at double the speed for better fidelity (remember the elcaset). In the end, the introduction of Dolby noise reduction meant the medium was good enough for portable use and sounded great in the car. Still have racks of cassettes on the wall in the studio...waiting for one day when I can consolidate the Media Network archive. I also remember that Lou Josephs came up with a recording of DXing worldwide from WNYW, a shortwave radio station with studios in New York. We used it in a special show we made in 1992. I distinctly remember that the cassette took some time to break into the US market. Even in 1969, the presenter at WNYW didn't know how to pronounce it - he says kay-set. And the music choice didn't really start to compete until Dolby reduced the hiss. The tape inside the housing was running at a 4.75 cms/sec - so there wasn't much of a signal getting to the playback head. Bart Lugard is the head of team selection at HightechXL, and in this update which we shot he explains about the work so far and what's happening in Athens on September 12th. And then of course, the teams often want to know about money. After all in hardware, the sums are substantially more than with web/tablet app development. 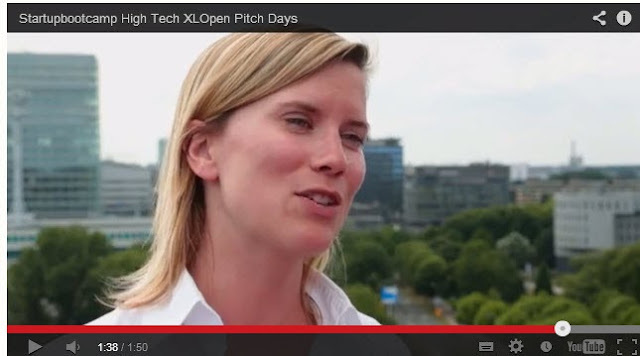 Teams are typically looking for Euro 500.000 to 2 million on Demo Day. We put this short trailer together to explain why the mentors we're involving also have access to substantial funds. How about pitching to an audience that represents 10 billion Euro. Now that's a real challenge! Sorry to hear that Elmore Leonard has passed on. I didn't know he had written westerns. But enjoyed reading Get Shorty and Maximum Bob. I understand he was well into writing his 46th novel when he had a stroke a few weeks back. I hope that is also released at some point. I remember reading his 10 tricks for good writing, as published in the New York Times article "Easy on the Adverbs, Exclamation Points and Especially Hooptedoodle". The radio mentioned the list again today, but only points 1 and 10. I wonder about point 8: I suppose we should leave much more to the imagination. Often wondered why hit comedy in the UK often falls flat in the US. Stephen Fry explains the difference between the two sense of humours....and he's spot on. Rather pleased at the response as the video campaign to assist recruitment to the Startupbootcamp HightechXL program now takes shape. Thanks for those who tweeted and reposted. Great buzz in the city of Eindhoven these days. Hope they win their bid to be the Netherlands Cultural capital in 2018. The region certainly deserves more recognition - it's putting more than 3.3 billion Euro into R & D. The rest of the country pales by comparison. The Startupbootcamp HightechXL selection team is moving into the final lap for the selection of great high-tech startups. Even though we're in the middle of summer holidays, the hightech campus in Eindhoven is always buzzing with events. The Solar Team Eindhoven, who were featured in the launch of HightechXL in June, have now been driving around town - including right past our office on the Hightech Campus. Great to see how this young team of student entrepreneurs has such a clear strategy - and a great drive to make it happen across Australia. They have everything going for them. It's refreshing to see how large companies here in this part of the Netherlands are quick to back people who take initiative and celebrate their success. May be because the history of NXP is also full of entrepreneurship as it was spun off from Philips. They have been there before and know how crucial this stage is the launch of a great company. 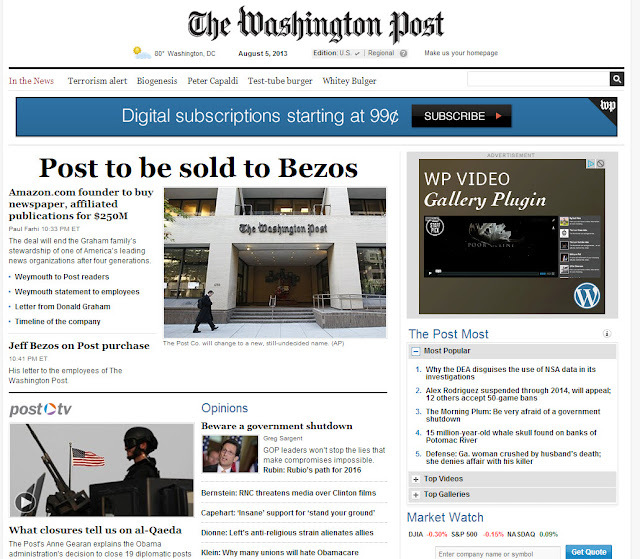 The Washington Post has just been sold to Amazon founder Jeff Bezos for $250 million, the paper announced Monday. Compared to the price that Yahoo and Google have been paying for acquisitions recently, 250 million isn't really a lot of money is it? The purchaser is an entity that belongs to Bezos in his individual capacity and is not Amazon.com. Though I guess this is part of Jeff's media strategy. Hope he doesn't interfere editorially like Murdoch did. Even to the point where the Washington Post will still cover challenges at Amazon. "Everyone at the Post Company and everyone in our family has always been proud of The Washington Post - of the newspaper we publish and of the people who write and produce it," said Donald E. Graham, Chairman and CEO of The Washington Post Company. "I, along with Katharine Weymouth and our board of directors, decided to sell only after years of familiar newspaper-industry challenges made us wonder if there might be another owner who would be better for the Post (after a transaction that would be in the best interest of our shareholders). Jeff Bezos' proven technology and business genius, his long-term approach and his personal decency make him a uniquely good new owner for the Post." Many people don't know that Jeff has been busy with various projects. In 2012 news broke that the Amazon founder and CEO has invested at least $42 million in a project to build a 10,000 year clock deep in the mountains near one of his homes in West Texas. The clock would play a different sound to celebrate the passing of each year for the next 10 millennia. "The clock is a symbol for long-term thinking," he said in the interview. "If we think long-term, we can accomplish things that we couldn't otherwise accomplish." As an example, he noted that asking someone to solve world hunger in five years might sound preposterous, but doing so in 100 years might not. "All we've done there is change the time horizon, we didn't change the challenge. Time horizons matter. They matter a lot." BBC Monitoring tipped me on this story on the Ugandan Daily Monitor website. As part of preparations to migrate from analogue to digital broadcasting, Uganda Broadcasting Corporation (UBC) has announced a three days switch off of the free-to-air television services. Starting tomorrow (August 4th), 64 broadcasting stations including television and some FM radio stations renting from the Kololo Summit View mast and operating on a terrestrial television free to air platform will be off air. In a new release yesterday, Ms Rose Namayanja, the information and national guidance minister, said government would stick to the three days to mitigate impact of the process. “UBC has put in place a contingency arrangement to ensure uninterrupted provision of television and radio services beyond the greater Kampala areas in Uganda,” she said. She stated that television services on the satellite platform would not be interrupted during the period of installation of digital terrestrial television antennas. The digital migration exercise is a fulfilment of a July 2006 International Telecommunication Union (ITU) resolution (to which Uganda is signatory) and requires all countries to have shifted all their television broadcasting signals from Analogue to Digital by June 2015. Further to this, in Uganda, the policy on Analogue to Digital migration was approved by Cabinet in April 2011, providing for UBC as the sole signal distributor for at least five years. Comment from Jonathan: I guess the FM transmitters are off the air while they work on the mast and there are no plans to suddenly force radio listeners to adopt DAB in the same way that TV is going digital. But I am surprised that they didn't put up a temporary FM mast since listeners don't listen to satellite for their radio coverage. And this is probably the most strategically important transmitter site in Uganda. I also note with interest that digital terrestrial broadcasting is back in the hands of a government monopoly in Uganda. Not sure I understand the reasons for that. If I lived in that part of East Africa, it would be an excellent excuse for me to invest in a satellite receiver and share the signal with neighbours. Didn't realise that this transmitter site had so much history attached to it - or that Kampala had such beautiful vistas. Kololo Hill is the highest hill in Kampala, Uganda’s largest capital centre. With a history dating back in 1912, Kololo got its name from Rwoti Awich, a paramount chief of payiira ethinic group from the Acholi region of Uganda. The Acholi people fought British colonialism in 1926, and many Acholi tribal leaders like Rwot Awich (Payira) Rwot Ogwok (Padibe) and Rwot Olyaa (Atiak) took part in the fight against British rule. 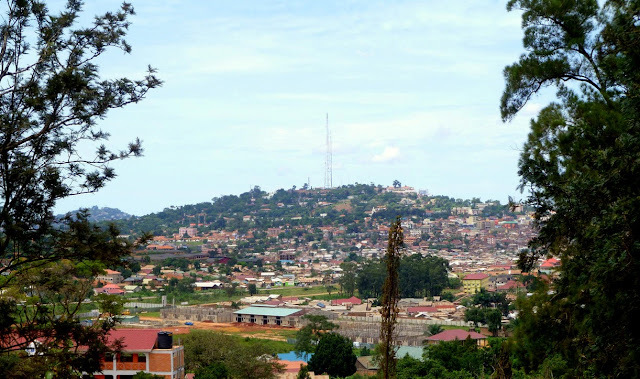 Kololo hill lies just five minutes drive from the centre of Kampala, and this steep hill is bordered by other prominent hills & town in Kampala like Naguru hill to the east, Bukoto trading centre and the Mulago hill to the northwest. 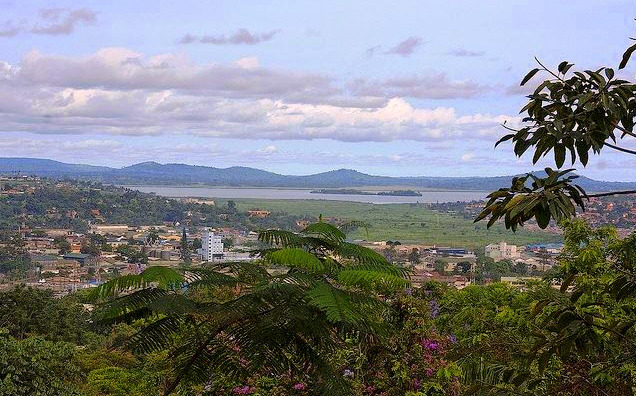 Due to its central location in the city and the breathtaking views the spot commands, Kololo hill has been an expensive residential area for years. 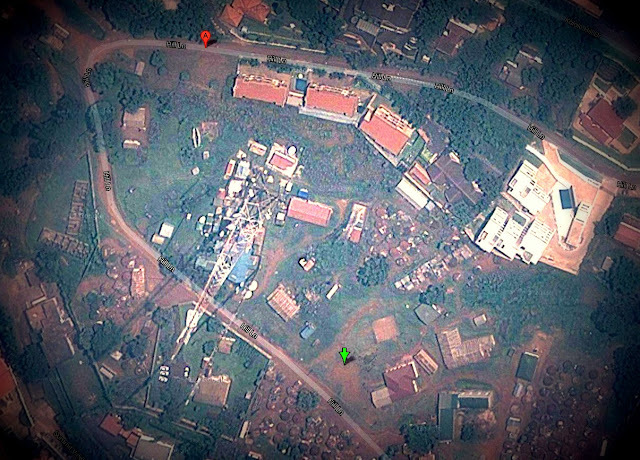 The hill is dominated by embassies and Ambassadors' residences in Uganda, hotels, banks, hospitals, and supermarkets. Television & Telecommunication companies also operate several telecommunication masts at the peak of Kololo hill. CULPEPER, VA (CBS) -- A race to save history is underway. It's happening at a federal facility in rural Virginia. That's where old videotape footage of television shows and newscasts are stored. They are waiting for digital conversion. You may think you've seen the original opening of "I Love Lucy," but odds are you haven't. The show started out in the early episodes with caricatures of Lucy and Ricky provided the advertising for the show's producer and sponsor: tobacco company Phillip Morris. Curator Rob Stone says, "It's our history. I grew up seeing Lucille Ball get in trouble and Ricky being flustered and that's my memories - my memories are those shows." It's all being preserved and stored at the Library of Congress conservation campus in Culpeper, Virginia; three million pieces of moving images. There's Johnny Carson and CBS' Ed Sullivan and Walter Cronkite. Why is this so important to preserve this? Stone explains, "So that our heritage doesn't just disappear when we disappear. It remains. The day Walter Cronkite couldn't hardly finish his sentence in November of 1963 when Kennedy was shot. You remember those things." But preserving 50-year-old video presents challenges. The tapes often are damaged and must be restored and then they only play on machines from the same era. Paul Klamer oversees video preservation. He says not only do these machines break down, but when they do, only one company in the world knows how to fix them and only one man. Klamer says, "The gentleman who does most of the work on these machines is in his 80s now and so that probably won't go on for very much longer." The tapes often arrive from studios and television stations in cases that disguise the jewels inside like a 1975 blues documentary from Mississippi Public Television with the simple title of "special good morning blues". Preservationist Bill Rush had no idea he would discover BB King interviewing blues pioneers until he popped it in the machine. And that's the goal here: to unearth and preserve history.